Happy Monday Everyone. 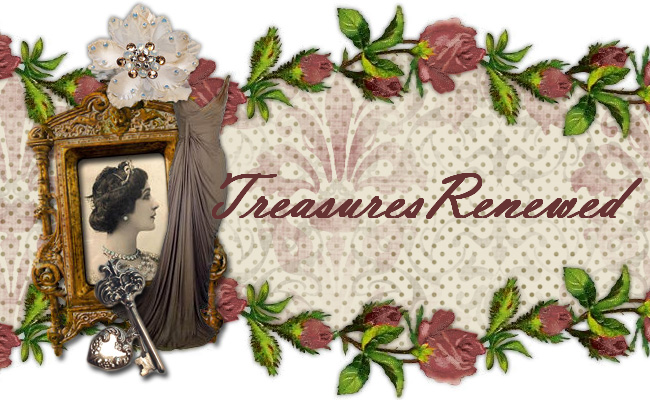 Today I am sharing a couple of quick projects. 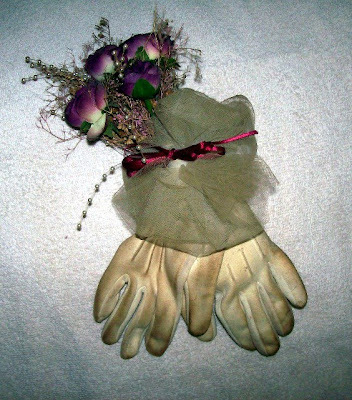 Let's start off with a thrift store pair of gloves. I lightly stuffed the inside of each glove and posed one on top of the other to my liking. I stitched here and there making sure they would keep the pose when hung upright. Next using my trusty hot glue gun I added tulle, ribbon and flowers. I added a heavy coat of tea stain and a wire hanger. 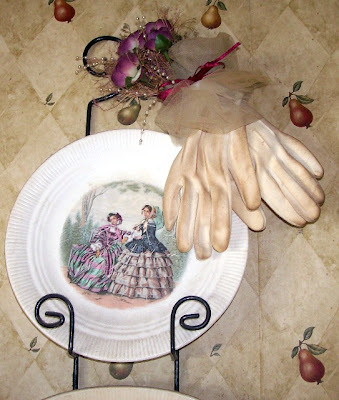 I love the way they look displayed next to my vintage plate. 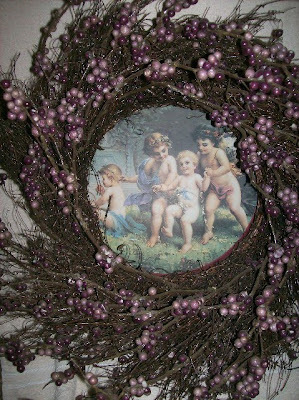 For my second quick project I wired a decorative metal tray to a thrift store wreath. Place the wreath face down on you work surface. 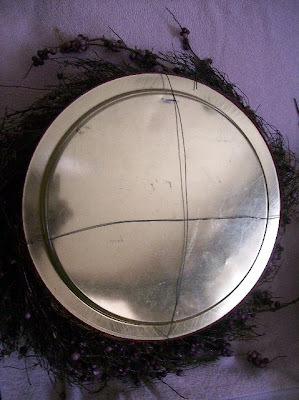 Place the tray face down on top of the wreath. Hook your wire to the top back of the wreath. Run the wire down the back of the tray and connect to the bottom back of the wreath. Repeat one more time attaching at the sides. What could be easier? these are great ideas; especially loving the tin behind the wreath. Hey, it is nice to find someone else who thinks outside of the box! 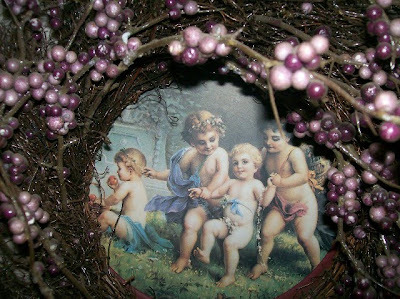 Love the wreath, it is wonderful! I am signing up to follow your blog!